The city owes its success to the waterfront. 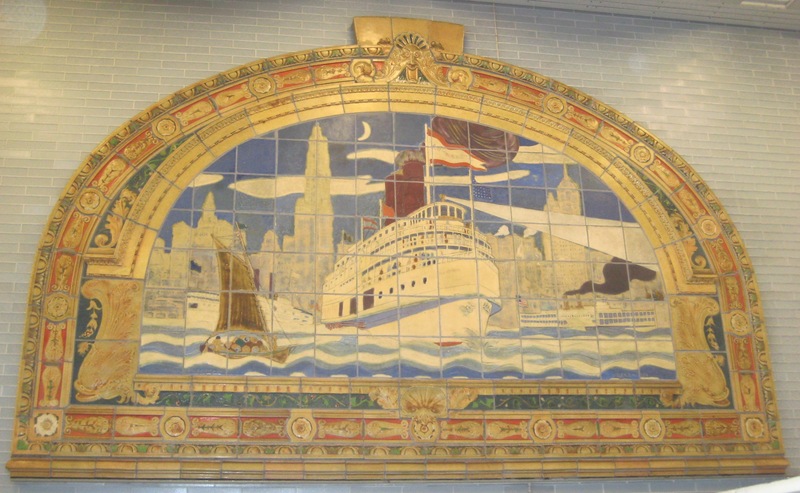 No wonder the Fulton Street subway station (currently being renovated into the Fulton Street Transit Center) pays homage to New York’s maritime past with these mosaics and murals. It is the Fulton Street station, named after Robert Fulton, inventor of the steamboat. Makes since, then, that circa-1905 bas reliefs of the Clermont, the first steamboat, decorate the IRT 4 and 5 train platform. 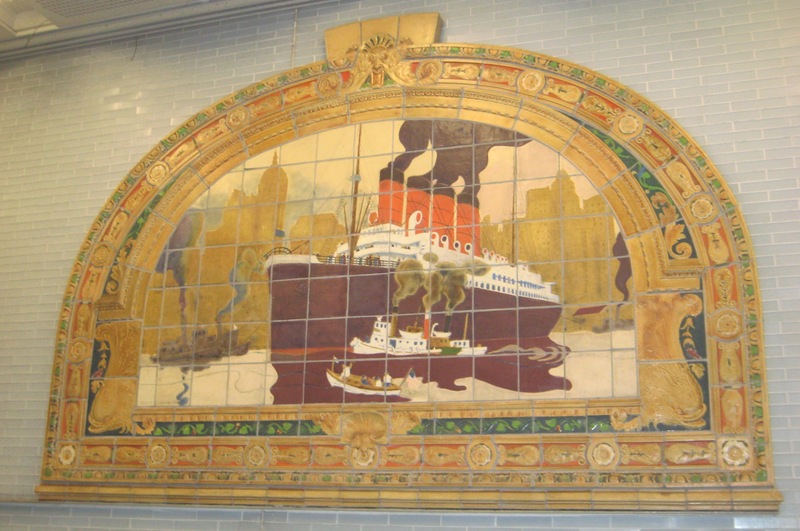 Murals installed along the station’s corridors also celebrate the city’s waterways and ships, like the mighty ocean liner the Mauretania, above, or the Fall River Line steamboat Commonwealth, below. 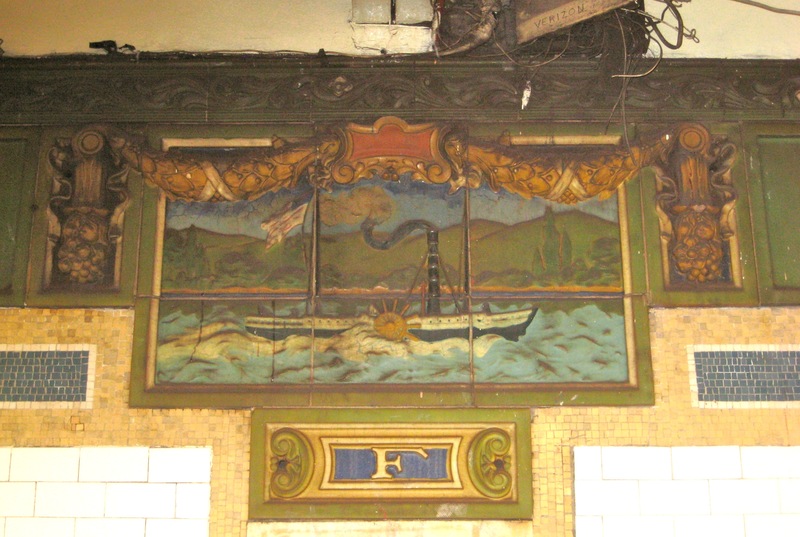 Originally created in 1913, they were displayed in the popular Marine Grill basement restaurant of the once-impressive McAlpin Hotel on 34th Street. When the hotel was being renovated into apartments in the 1990s, the murals were headed for a landfill. Preservationists rescued six at the last minute, and they were reassembled at Fulton Street by the MTA in 2000.